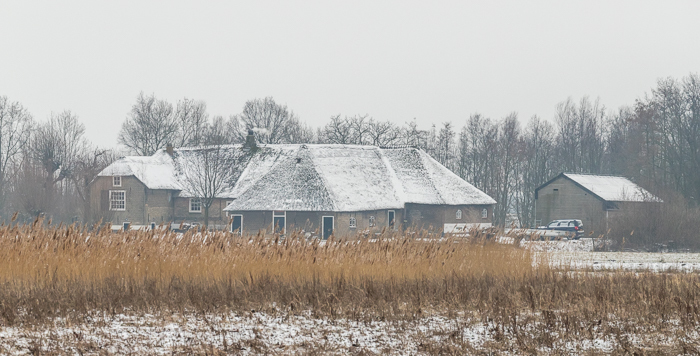 Early in March, we had a second viewing of the house in Arkel. After a weekend of brainstorming, we decided to buy it. We almost got it, we got very far in the negotiating process, but in the end the seller surprised everyone (including the estate agent) by selling it directly to someone else. It was so disappointing, it still makes me sad. We got so close! Oh well, chin up and we’ll keep looking! 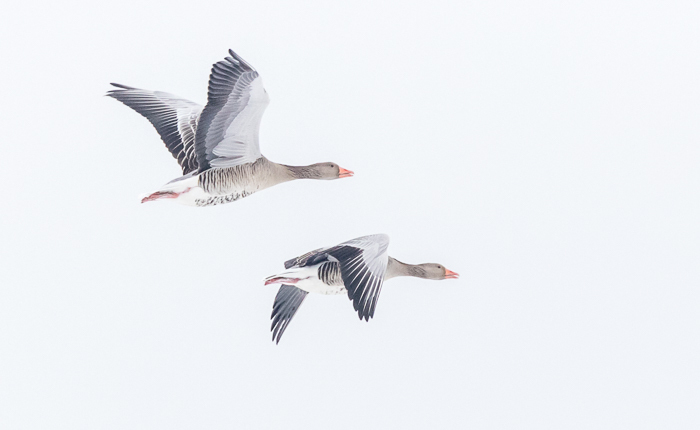 That weekend I also went to a winter bird excursion to Ackerdijkse Plassen, a nearby nature reserve. 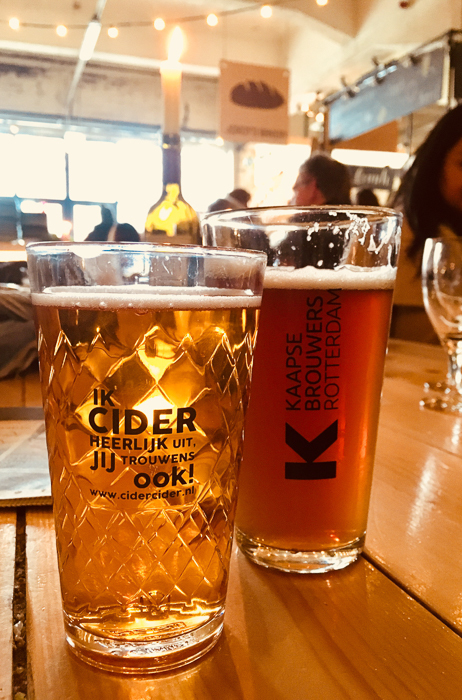 We spent a great weekend in Haarlem, Michiel’s sister and her boyfriend joined as well. 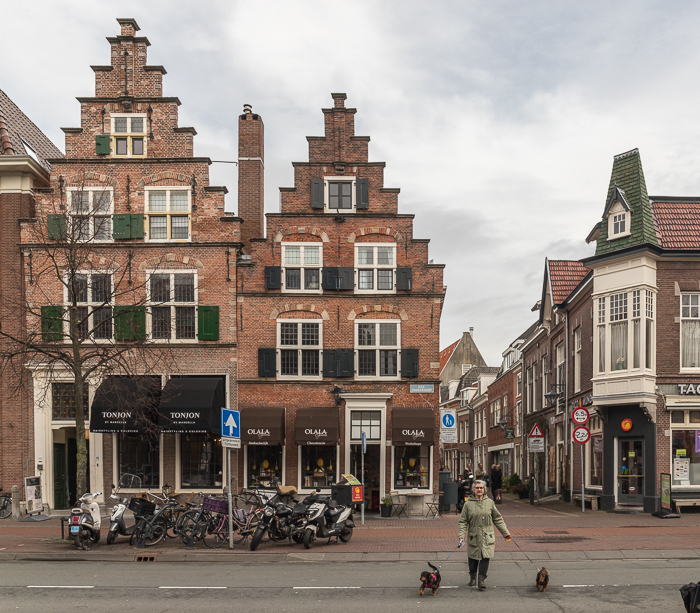 This is where I grew up, so I showed everyone around Haarlem on Saturday. The weather was a bit grey, but it was a really nice day. 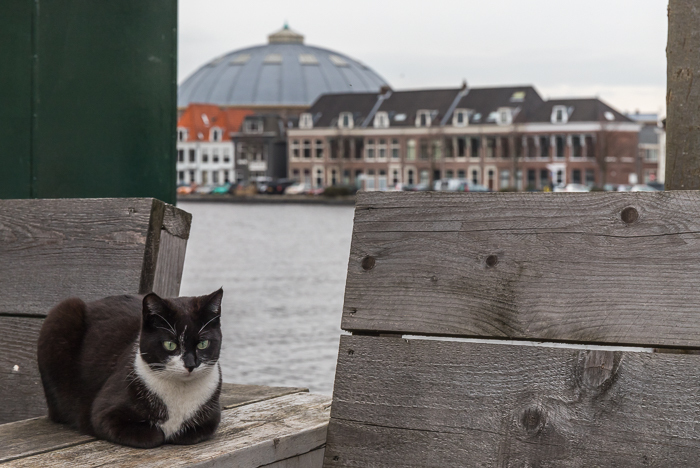 A cat in front of the former prison in Haarlem, which we would visit on an excursion the next day! 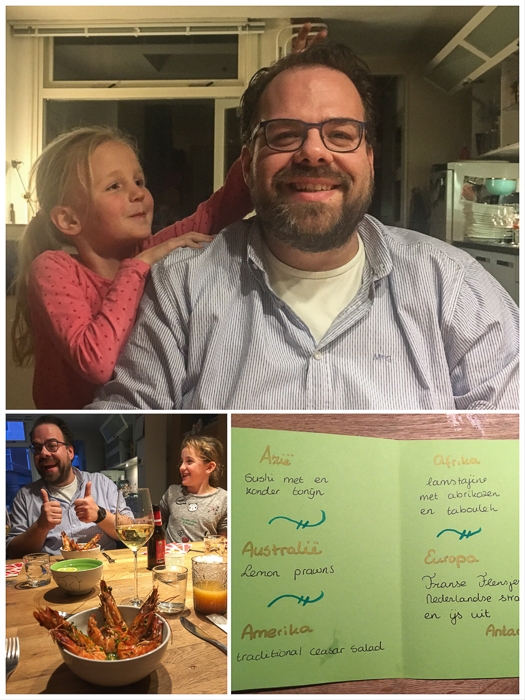 Our actual reason for visiting Haarlem was my birthday present by Bart and Kaya: a dinner trip around the world in 5 courses. The menu was AMAZING and the evening was wonderful – what a great birthday present!! 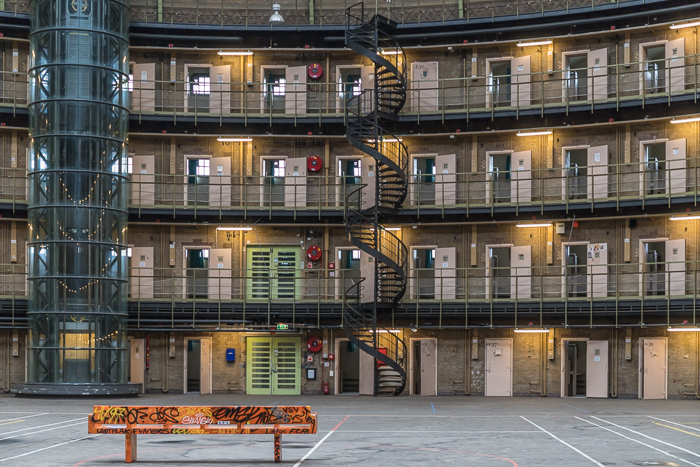 On Sunday we went on an excursion to the former prison in Haarlem, it was housed in a round building. Our guide talked a LOT but finally we did reach the room that we came to see, and that was really impressive… More photos on my blog soon! I then spent a busy week at work, where I started at 06:30 every day. That meant I didn’t do much else that week, although we did find time for a dinner with my parents and a visit to the theatre to see Fiddler on the Roof with Thomas Acda. Very nice! On Saturday our friend Katharina and her boyfriend Joris came to visit us (from Brussels/Antwerp). 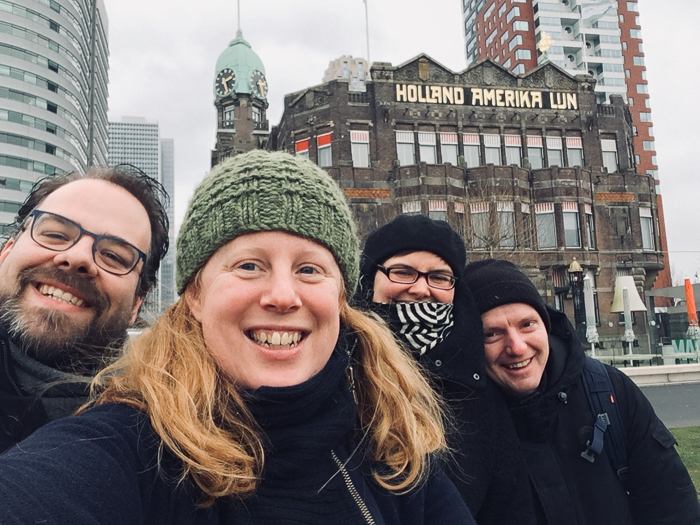 We showed them around Rotterdam on a VERY cold day. 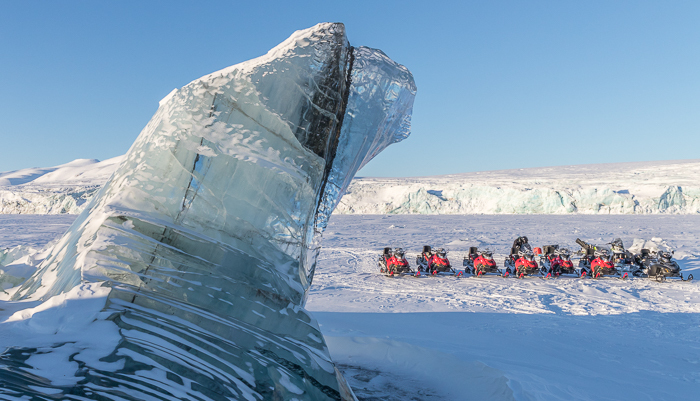 The temperature was just below zero, but it was very windy which made it feel like -15! I spent the last two weeks of March in Norway. My friend Nicole, who lives in Seattle, always wanted to visit me while I lived in Tromsø. She never got the chance until now (only 3 years after I moved from Tromsø 😉 ), and I decided going back to Norway for holidays would be fun. We had an amazing trip! 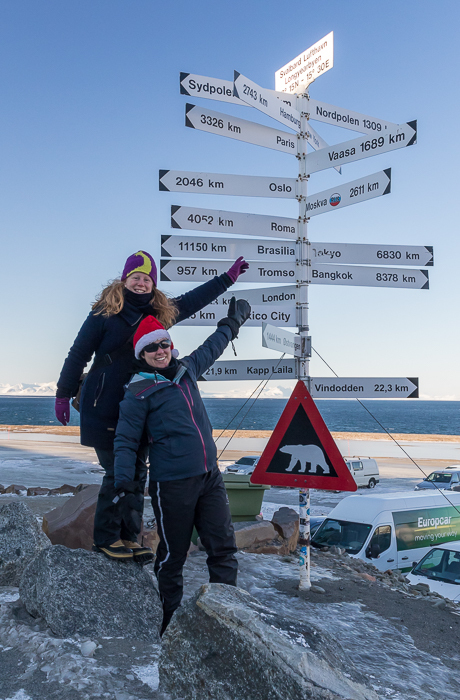 Our first stop was Svalbard, the real Arctic, and as Nicole put it: the closest to the North Pole we’d ever get! 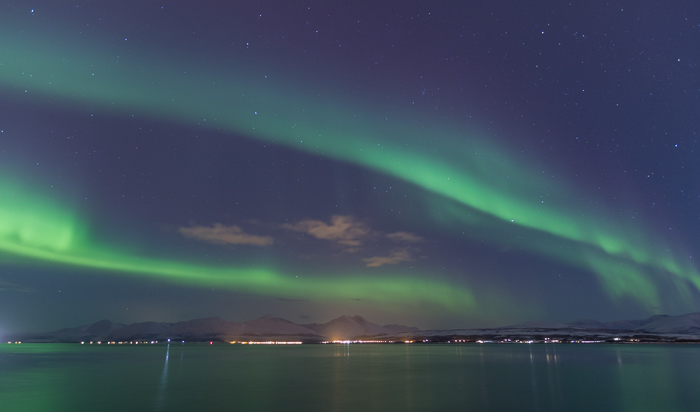 Our next stop was Tromsø, where we got to see the northern lights in all its glory already on our first night! 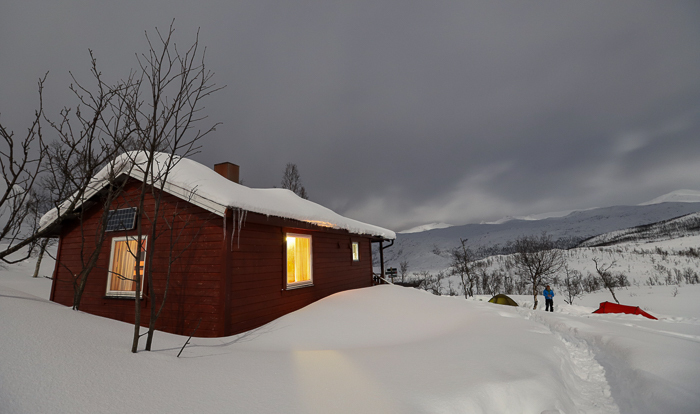 We also spent a few days on the island Senja, in a DNT cabin… there was so much snow, and it kept snowing all week. 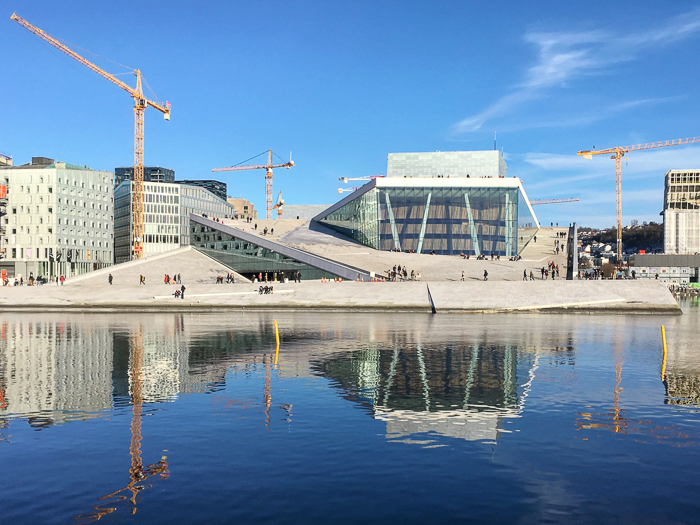 Finally we had a day in Oslo before we both flew back home. Nicole visited her family-in-law, while I spent a wonderful day catching up with friends in the spring sunshine. The highlight of the day was sharing a wonderful sauna experience with Teresa – with this view! 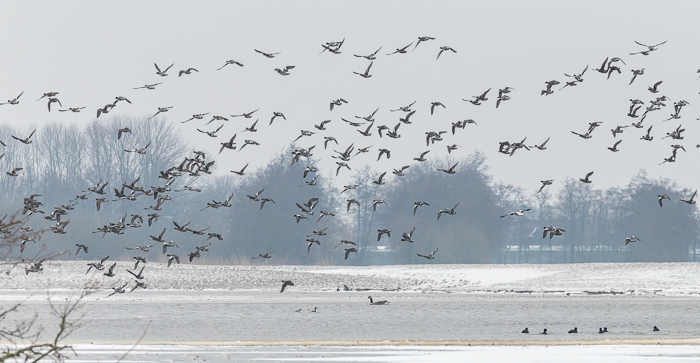 Last Saturday I joined a winter bird excursion by Natuurmonumenten at Ackerdijkse Plassen. This area is usually closed, but once a month you can join an excursion. 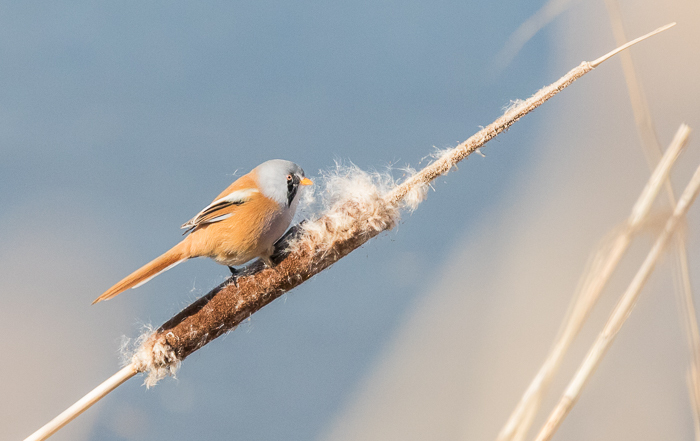 I had cycled past the nature reserve several times, and was really curious to see more! The night before it has snowed quite a lot, which made for beautiful white landscapes. The excursion started at an old farm building which can be hired for meetings etc. 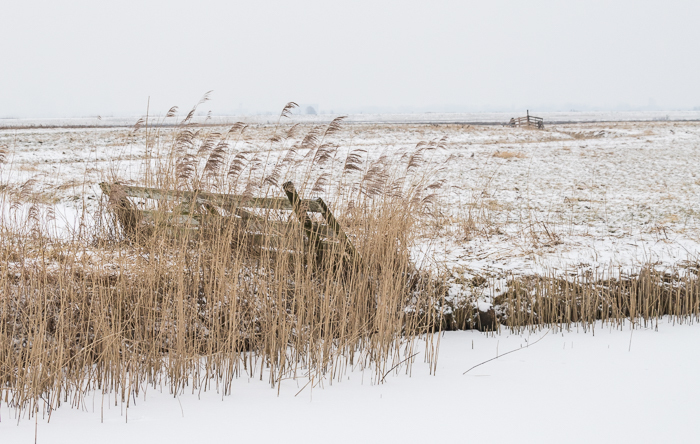 After a while we came to a frozen lake, where we could see a big group of Western Great Egrets (Grote Zilverreiger) at their sleeping place. There were so many! 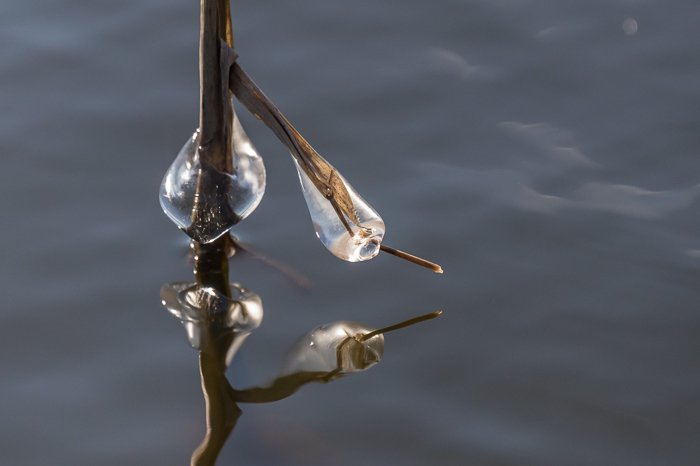 This is a zoomed in version of the photo above, to show how the egrets huddle together against the cold! Natuurmonumenten really liked these photos and they shared them in lots of news items about this quite special sight. See for example here and here (only in Dutch). 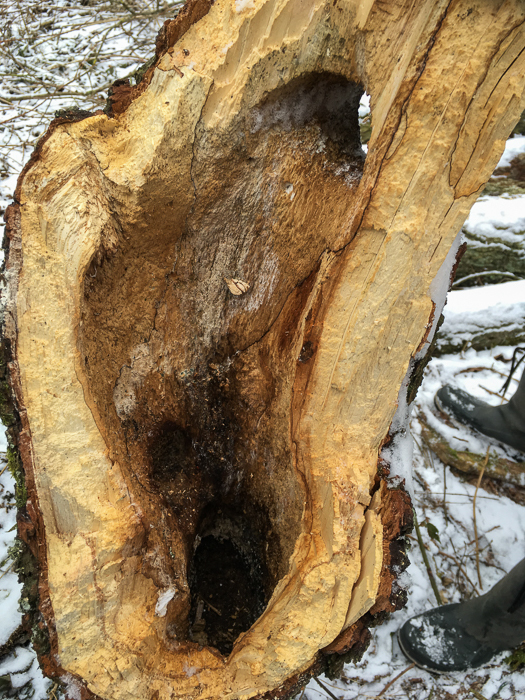 Not all trees had survived the two big storms in January, and this meant we got to see the nesting hole of a woodpecker in a fallen down tree. It was really big! 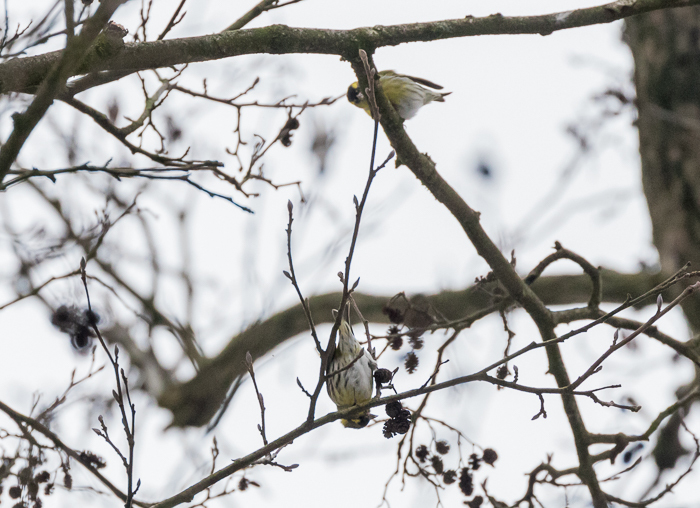 Eurasian Siskins (Sijsjes) hanging upside down to get some food. The group returning to the farm. From their we started another loop, and switched with the other group. 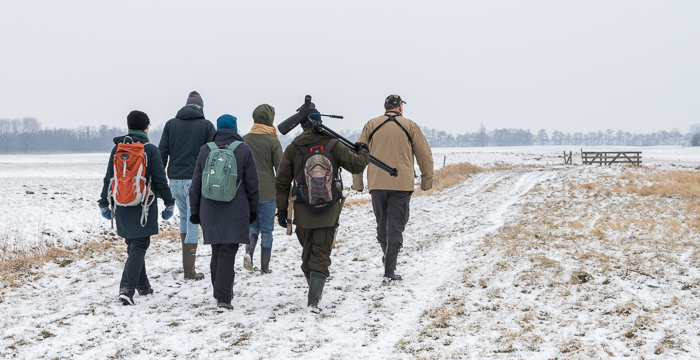 It was the first time I joined an excursion by Natuurmonumenten, but definitely not the last time – I really loved it! Last Sunday I needed a break from working on a paper, and I decided to go for a walk in a nearby nature reserve: Rietputten in Vlaardingen. I found it through the NatuurRoutes app by Natuurmonumenten, which shows you walking routes (or biking, or even canoe) nearby. The route I took can also be found here. 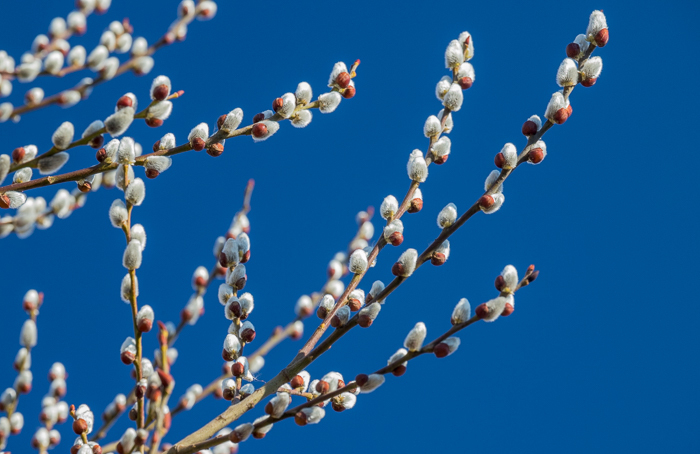 It was a very sunny day, and although it was freezing cold, there were signs of spring to be found 🙂 that always makes me happy! 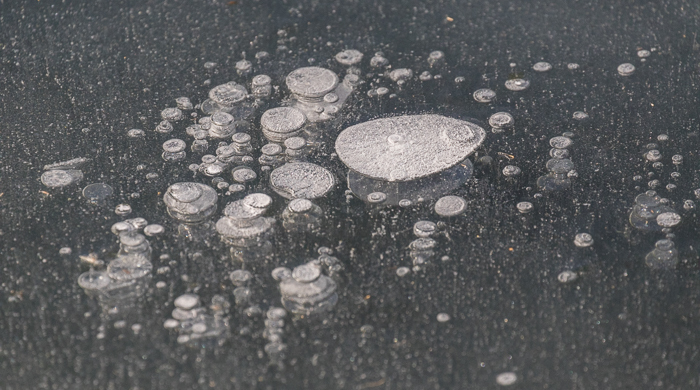 The lakes were partly frozen, but there were large areas of open water. 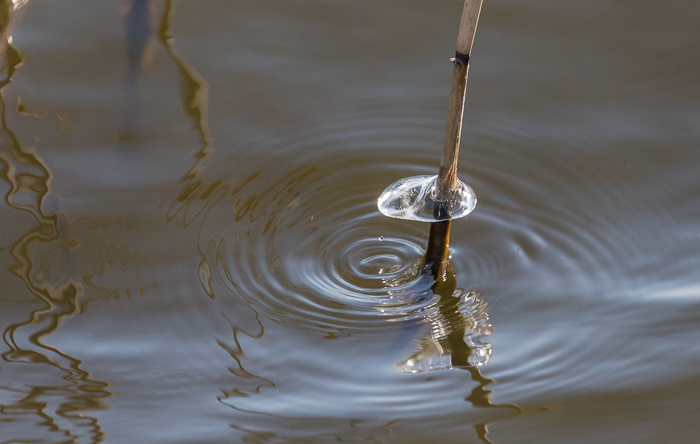 Sometimes with beautiful (but tiny) works of art made of ice! 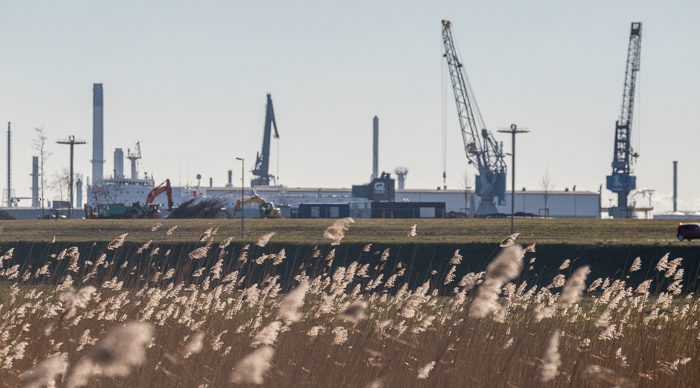 Rietputten is not a very large nature reserve, and it’s surrounded by industry on all sides. This was on a Sunday, so no work was being done, but I imagine on weekdays this brings some noise as well! 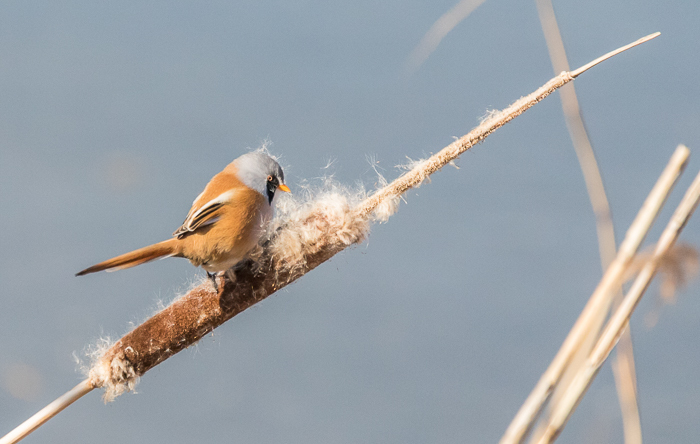 The bird was busy getting seeds from the reed cigar, and was covered in fluff that flew around everywhere. 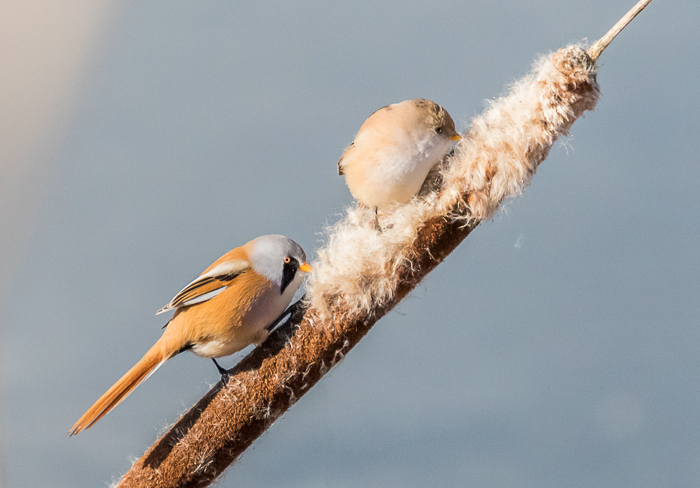 I soon discovered a female bearded reedling closeby, and at some point they sat down on the same reed cigar. What a beautiful couple!! 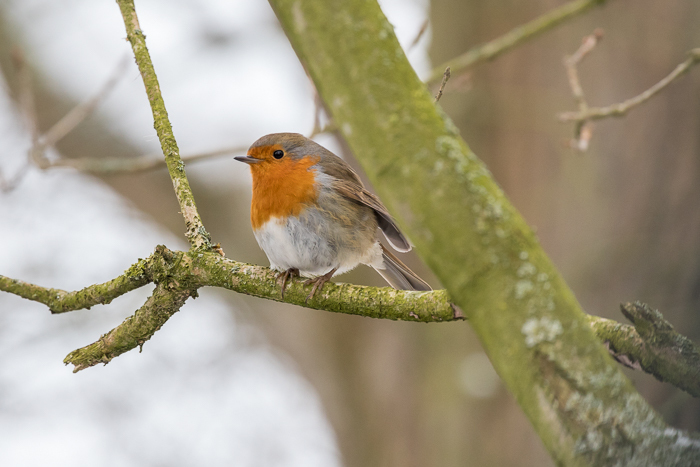 I went home happy to have enjoyed some sunshine and getting so lucky seeing these beautiful birds! (Maassluissedijk 201-203, 3133 KA Vlaardingen, the Netherlands), where you can park your car. Rietputten is located on the other side of the road. It can be very muddy so it’s best to wear wellies or waterproof boots. 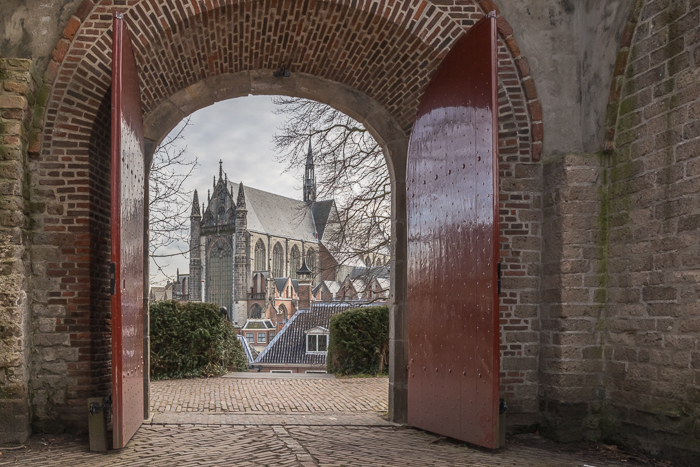 The route I walked can be downloaded here, unfortunately only in Dutch – but it’s a very small area and you can easily make up your own route.